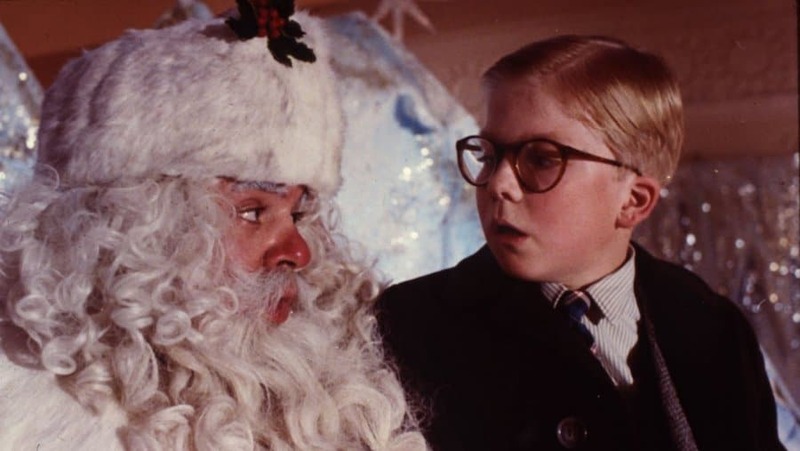 The film ‘A Christmas Story’ has been a fan favorite holiday movie since its initial release back in 1983. The movie has become a tradition for many families to watch during the holiday seasons. ‘A Christmas Story’ has classic, funny lines and memorable scenes that still have everyone raving about it many years later. 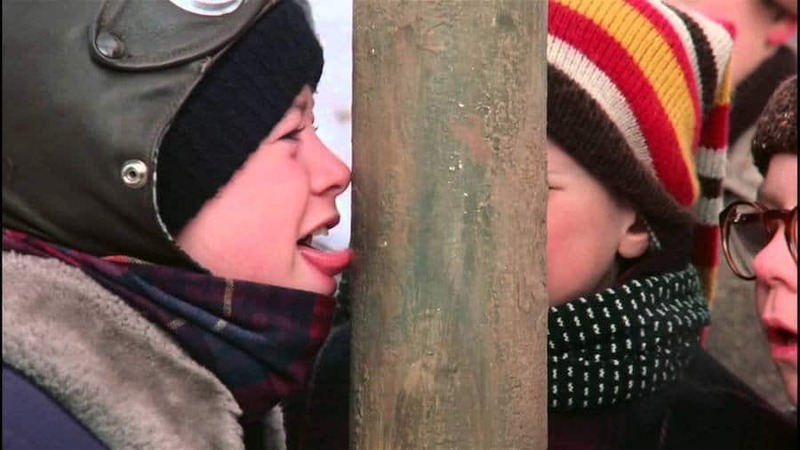 Let’s take a look at some interesting facts about the cult classic ‘A Christmas Story’ that many people may not know about. 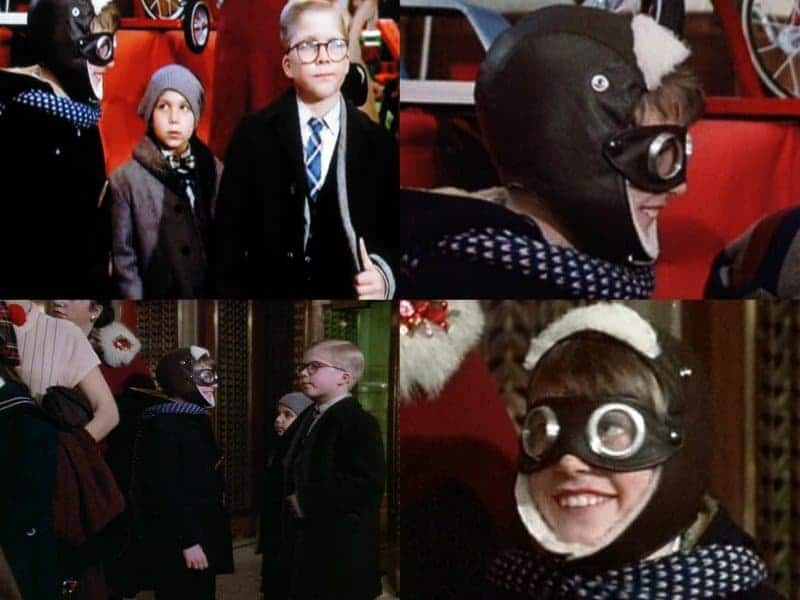 The young boy in the scene where Ralphie is waiting on Santa and is wearing googles wasn’t an actor. He was a real boy that was in the department store at the time of filming and the directors decided to use him in the famous scene. Jack Nicholson was originally supposed to play the role of Ralphie’s dad. 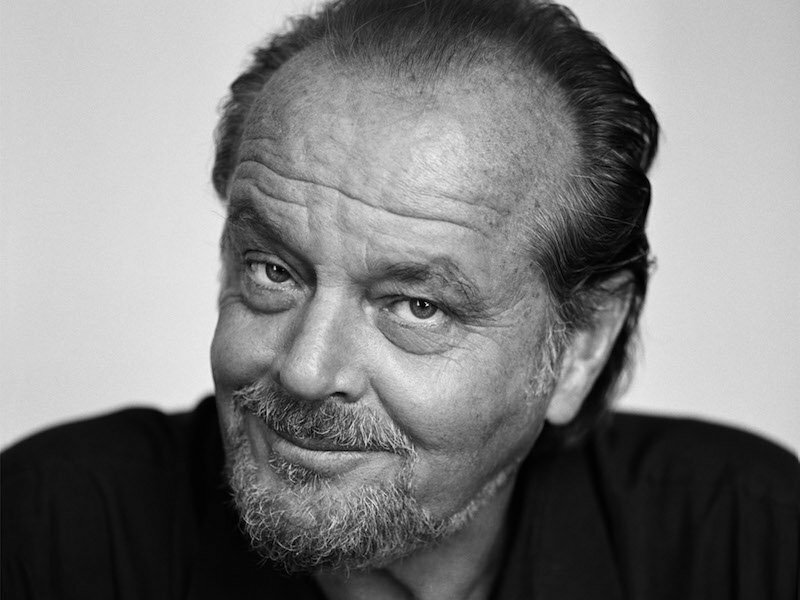 Due to the film’s budget being so small, they were not able to pay Nicholson. The role eventually went to Darrin McGavin. The film originally opened on Thanksgiving weekend back in 1989. When it was actually Christmas time, theaters across the country removed it to make room for other films such as ‘Christine’ and ‘Scarface’. 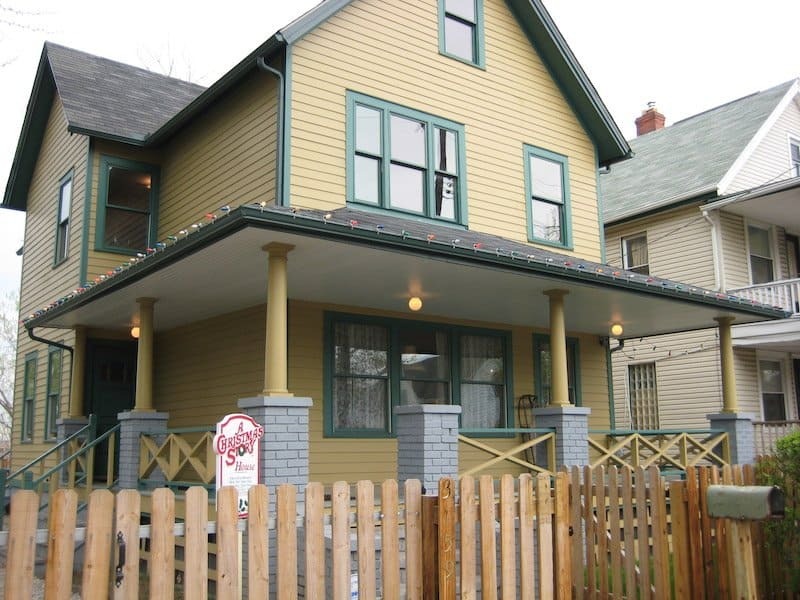 The famous house in Cleveland that was used in ‘A Christmas Story’ was sold on eBay back in 2004 for nearly $150,000. Since then, the home has been turned into a museum. Fans can bid on eBay to spend Christmas Eve and Christmas Day at the famous house. 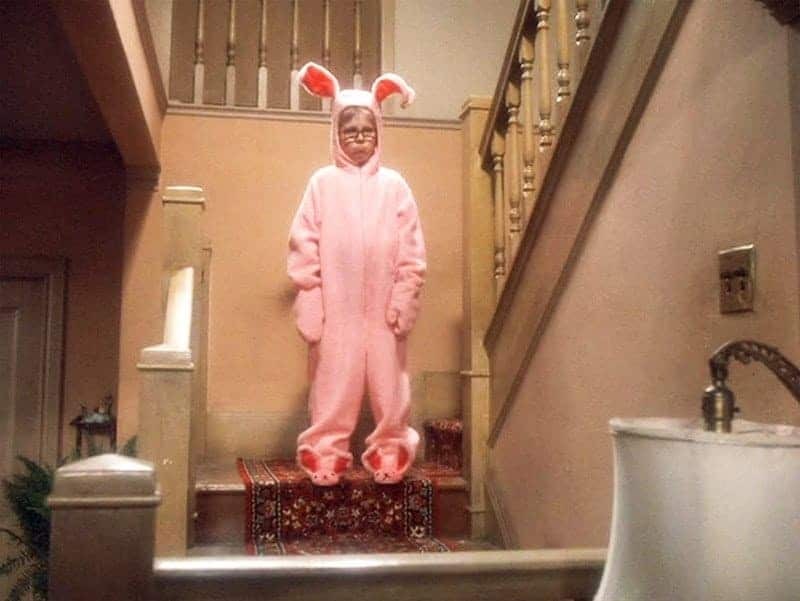 The package includes many ‘A Christmas Story’ memorabilia, the iconic leg lamp and the famous bunny suit. All proceeds from the bidding go to charity. Scott Schwartz played the character Flick in the film. As an adult, he has appeared in various adult films under the moniker, Scotty Schwartz. In the hilarious final scene of the film, the actors were never told that the waiters were going to sing to them. Their reactions were genuinely real and priceless. The famous leg lamp featured in the film was actually inspired by an old soda ad. 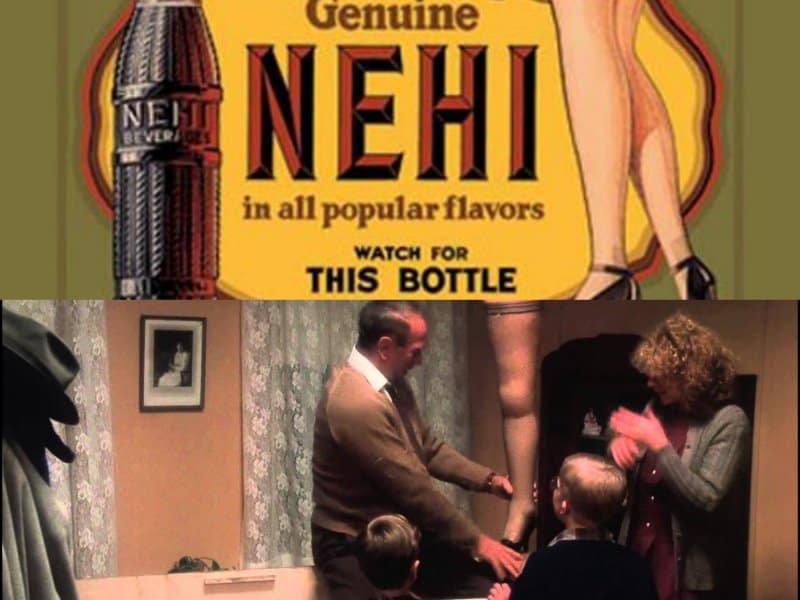 The Nehi orange soda ad showcased a woman’s leg, much similar to the leg lamp. 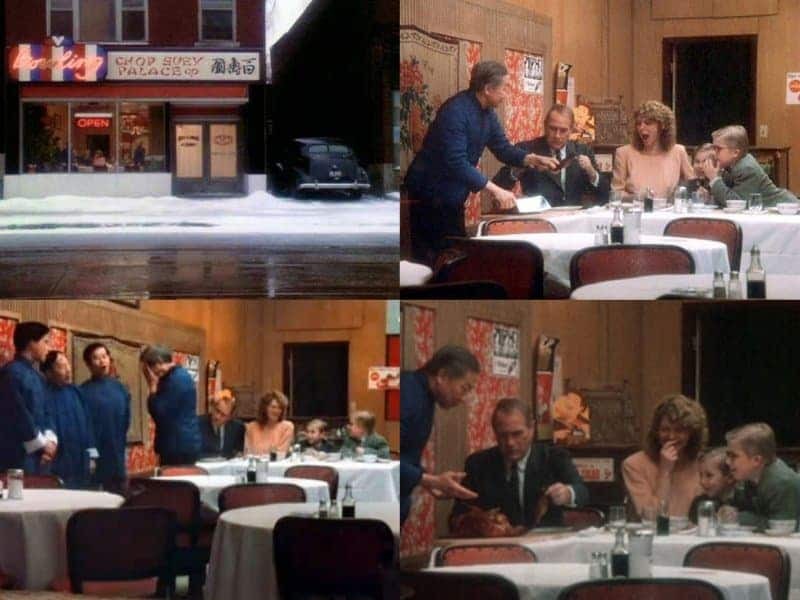 By now, everyone is aware of the 24-hour marathon of ‘A Christmas Story’ that airs on TNT. The marathon originally started back in 1988. TNT decided to run a marathon again back in 1997, and it’s been successful ever since. 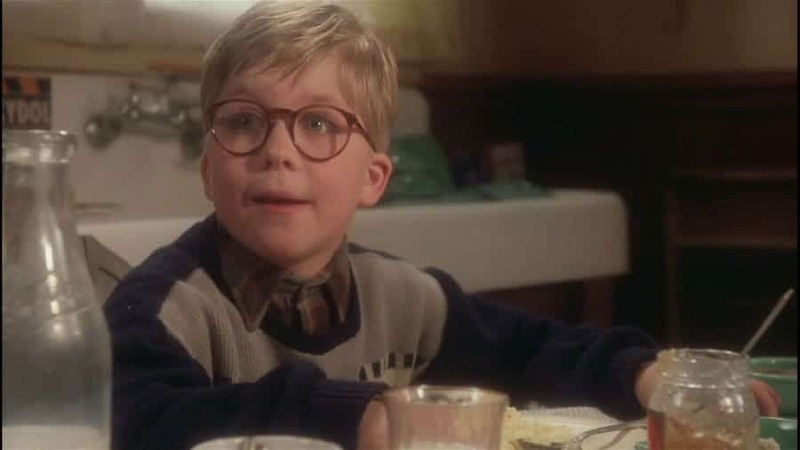 Due to the success of Porky’s, ‘A Christmas Story’ was able to become a movie. The production studio didn’t have an interest in ‘A Christmas Story’, but because they trusted director Bob Clark’s work. They allowed him to have all the freedom he needed to create the film.